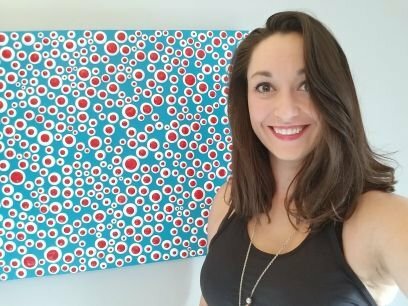 Sara O’Connor is a former lawyer who has been working with admirable determination to grow her art business and cultivate her brand for the past two and a half years. 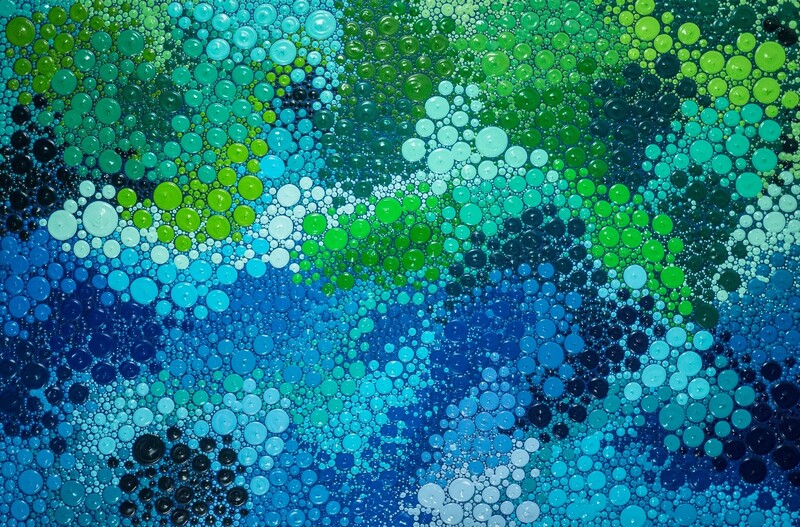 She creates heavy-textured pointillism art inspired by geology, the water, light, and color. We sat down with Sara to learn a bit more about how she started out and where she’s headed. Sara: “I am a perfectionist, and I knew that what I truly wanted out of my art was to begin selling on a national level with nationally-ranked shows. I started purchasing bare-minimum art supplies and investing in what would become my business. I left the practice of law in December 2016 and was finally ready to exhibit outside of Pennsylvania. During 2017, I exhibited in Washington, D.C., Virginia, Maryland, and Michigan, and, during 2018, I have added several more states to that list. Sara: “Since that switch, a lot of the art proceeds go straight back to the business because I want this to be sharp and sustainable for the long haul. You know, you can’t be an overnight success without ten years of preparation. And I’m in year 2 and a half. This is my new graduate program, and I’ll never stop studying. Last December, Sara participated in Spectrum Miami at Miami Art Week, and she found that the desire to elevate her brand and attach that high-end price tag required her to “flex her artistic muscles.” She feels that her art unequivocally improved as a result of the intensive preparation required to exhibit during Miami Art Week. Sara has also learned from The Abundant Artist how important it is to stand by your value. Sara: “That means if my work is (currently) $3.50 per square inch, there are inevitably going to be some people who, when they email me to commission a piece, I have to say no to because their budget doesn’t match the supply-and-demand of my time and my work. So, I’ll offer to make them a piece (if possible) based on their budget, but, as any professional in any industry must do, you must stand up for yourself. And, to dovetail with that, there seems to be a big movement by charities who misunderstand the rules pertaining to charitable deductions. As the law currently stands as I understand it, an artist cannot take a tax deduction for the fair market value of the piece they donate, and many charities misinform artists of this fact. Additionally, many charities don’t know how to run a proper art auction, because they’re busy fulfilling their missions! Ultimately, I have heard of instances where artists have had their work undervalued. Let’s be clear, though. I love charities. I have benefited from and donated personal money to them and I will continue to volunteer. I would suggest to anyone who works with a charity to consider asking corporate sponsors to use some of their donation to purchase artwork (ideally from local artists) to be auctioned at the event. Perhaps the piece can be designed for or in honor of that corporate sponsor by listing the piece as “sponsored by [this awesome company who cares about this cause and the local artistic community. ]” This has many benefits, such as simulating the local economy by supporting local artists, increasing networking opportunities for everyone involved, and helping us realize that the starving artist idea is, and must remain, an unacceptable myth. 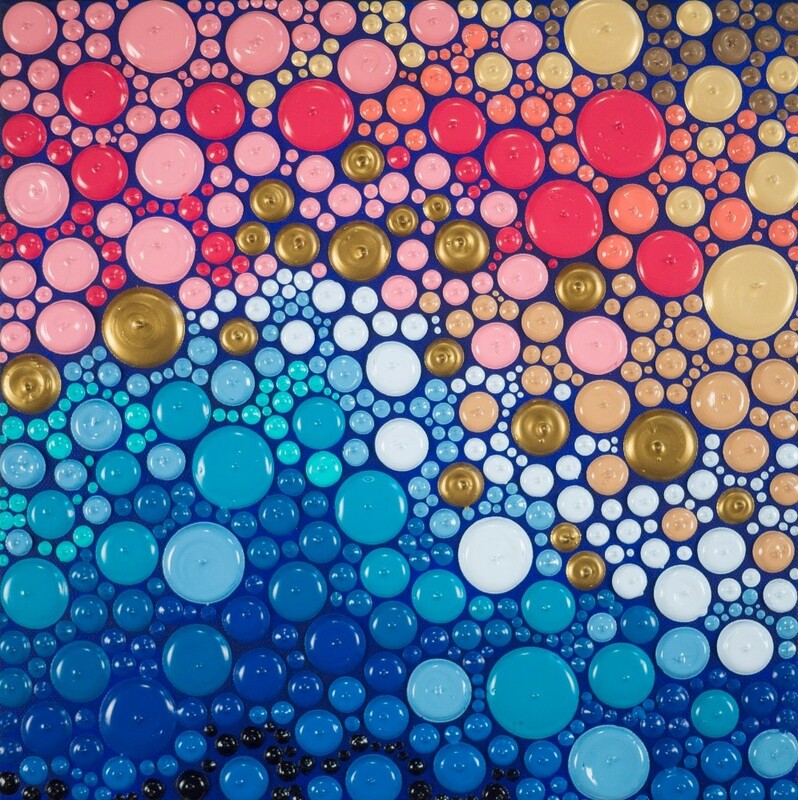 Self-labeled a “heavy-texture pointillism artist,” Sara’s work boldly modernizes classical pointillism through her innovative use of want-to-touch and want-to-taste texture. Sara applies each color with precision and care to create flowing movement. Sara’s obsession to detail and quest to captivate has swiftly earned her new collectors across the United States and abroad. 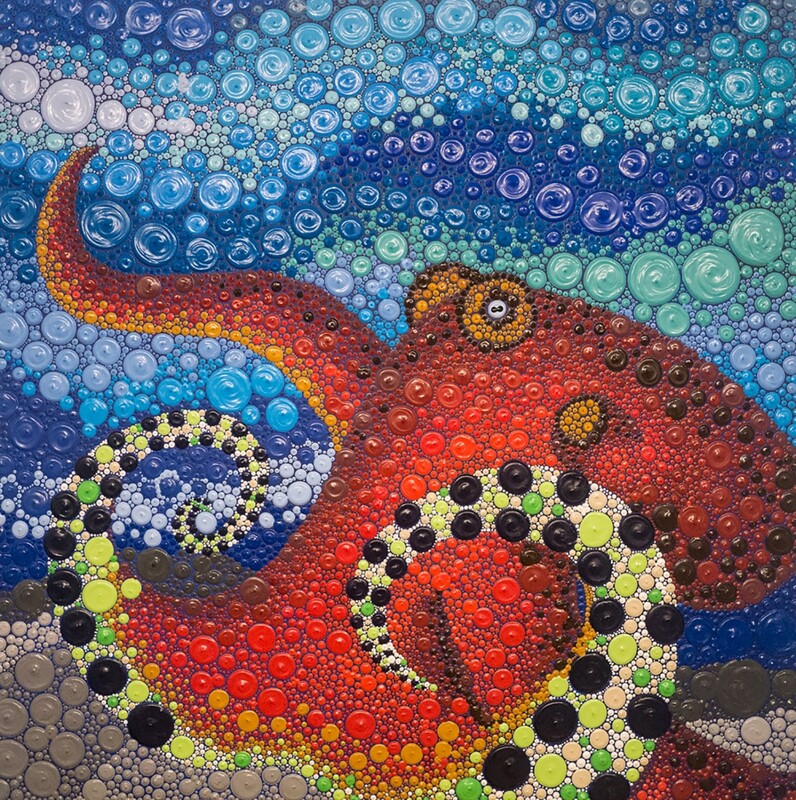 She currently lives in Richmond, Virginia, where her studio is located. Her prior career as a Biglaw attorney instilled in her the drive to create high-quality work that makes an immediate impact. Her travels to and experiences in Israel, Thailand, Italy, Canada, and Mexico heavily influence her use and expression of color. See more at http://saraoconnorfineart.com or visit her on Instagram at @saraoconnorfineart.